FAO have pledged to help countries develop strategies for tackling the spread of antimicrobial resistance in their food supply chains, as governments prepare to debate the emerging challenge posed by medicine-resistant "superbugs" at the UN General Assembly. The increased use – and abuse – of antimicrobial medicines in both human and animal healthcare has contributed to an increase in the number of disease-causing microbes that are resistant to medicines traditionally used to treat them, like antibiotics. The significant risk to human health posed by "antimicrobial resistance" (AMR) and its connection to and impact on agriculture will be discussed at a high-level UN event on September 21st in New York. 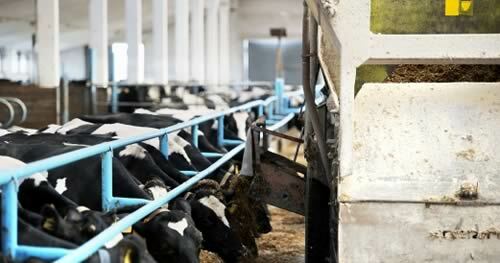 "Antimicrobial medicines play a critical role in the treatment of diseases of farm animals and plants. Their use is essential to food security, to our well-being, and to animal welfare. However, the misuse of these drugs, associated with the emergence and spread of antimicrobial-resistant micro-organisms, places everyone at great risk." With much attention justifiably focused on exposure to AMR pathogens in hospitals and similar settings, the presence of AMR microorganisms in farming systems represents another vector – the food we eat, FAO is stressing. And in addition to public health risks, AMR has implications for both food safety and food security and the economic wellbeing of millions of farming households across the globe. The Organization is aiming to help governments put in place national strategies for tackling AMR and AMU in their food and agricultural sectors by mid-2017. As a result of economic expansion and population growth over the past 50 years, food production methods have intensified, resulting in an increase in the use of antimicrobials in agriculture. These medicines are used to treat animals that are already sick, or to prevent diseases from spreading further within a flock or on a farm. In addition to livestock, they are now employed in aquaculture – fish farms – in the same way. In some cases – albeit to a lesser degree – antimicrobial substances are spread on plant crops. Estimated global antimicrobial consumption in the livestock sector current runs over 60,000 tonnes per year. With demand for animal-sourced food products projected to grow steadily over the coming decades, the use of antimicrobials will continue to rise, FAO says. Two-thirds of the estimated future expansion of antimicrobial usage is expected to occur within the animal production sector, with use in pigs and poultry is set to double, according one international study published by the U.S. National Academy of Sciences. FAO is stressing that the fundamental way to address AMR in food and agriculture is to ensure that farm and food systems adhere to best practices for hygiene, biosecurity, and animal care and handling. This reduces the need for antimicrobial medicines in the first place - as does vaccinating farm animals to build their natural ability to withstand disease. Another key need is the lack of a global, standardized approach to data used to track the use of antimicrobials in livestock. The UK-government's O'Neill commission report, for instance, found that only 42 countries have such systems in place. Risks from AMR in agriculture are higher in countries where laws, regulations and monitoring systems are weak. Building national capacities in this regard is a priority focus for FAO. More research and development into alternatives to antimicrobials and antibiotics in food and agriculture is also needed – as well efforts to plug gaping holes in our knowledge regarding the environmental pathways of AMR in farm waste. The FAO-WHO Codex Alimentarius Commission, which sets international food quality and safety standards, has already laid the foundations for food safety control authorities to tackle antimicrobial resistance in food via a range of standards on AMR, veterinary drugs and their residues, food hygiene, and animal feed. Codex recently established a dedicated AMR task force. As it has developed today's action plan, FAO has also been intensifying its engagement with farming communities, public health and veterinary specialists, regulators and food safety inspectors on AMR, holding workshops for example in Cambodia, China, Ethiopia, Ghana, Kenya, Thailand, Viet Nam, and Zimbabwe.